Frame and legs: in Steel finish Aluminium. 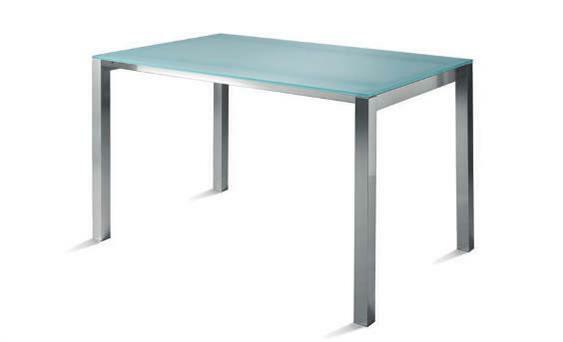 Top: extensible, in gloss or matt screen-printed tempered glass, available in a variety of colors. Extension in Grey color melamine.